Exactly one month to go! 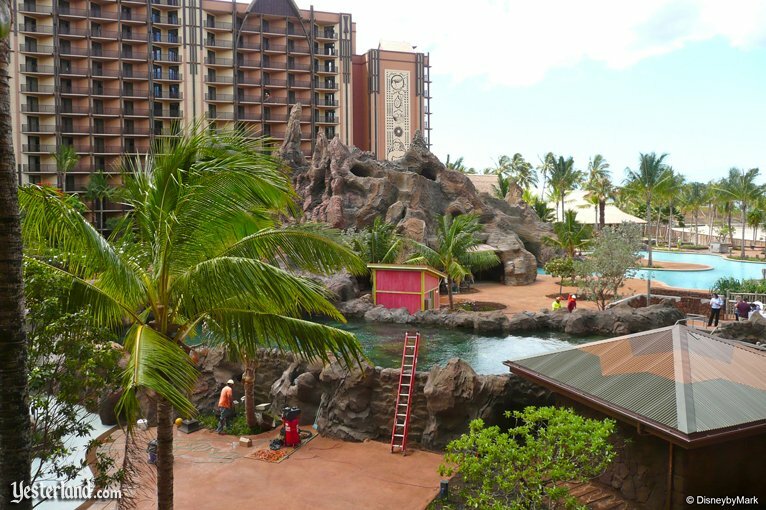 August 29 is opening day of Aulani, a Disney Resort & Spa, Ko Olina, Hawai‘i. Then we’ll head inland on Interstate H‑1 to the first offramp, Kapolei, where there’s a new place to buy food for your Aulani kitchen. Finally, we’ll look at other places on O‘ahu—and why O‘ahu is such a great destination for repeat visits to Hawai‘i. For the first time, Yesterland has photos inside the actual resort—not just from outside the construction wall or inside a model in the temporary model center. It looks even better than the artist renderings. Finishing touches are still needed. For example, in the photo above, the vent grilles are still missing. The landscaping looks great, but theres no reason for Aulani to put out the deck chairs and loungers until closer to opening. Menehune are the legendary, mysterious “little people” of Hawai‘i. 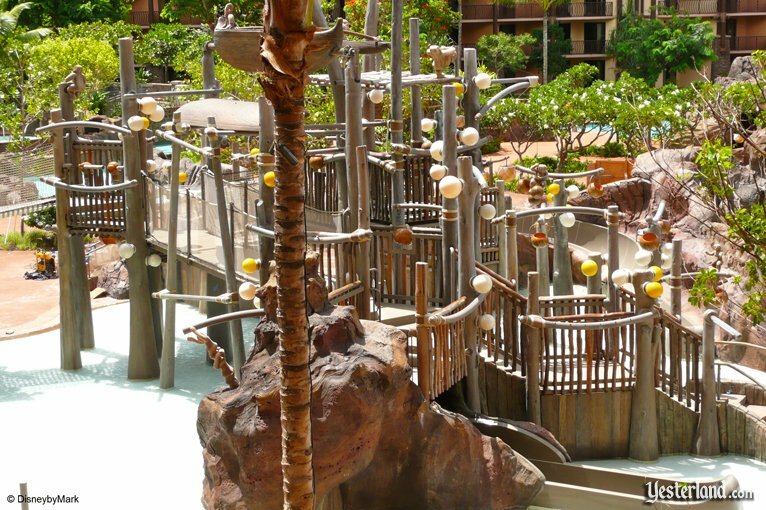 One night, so the story goes, the Menehune built a childrens interactive water playground at Aulani. The diminutive master builders put in all sorts of fun touches, such as an elevated, water-filled outrigger canoe which tips over, spilling its refreshing contents on anyone standing below it. Pu‘u Kilo, the volcanic outcropping, might be the most photographed spot within the Waikolohe Valley at Aulani—at least thats been the case in this series at Yesterland.com, where you can see Pu‘u Kilo take shape as you look at older articles. Thats because it was easy to get a clear view of it from the top of the JW Marriott Ihilani Resort & Spa next door, even though Pu‘u Kilo was mostly hidden behind a tall green construction wall. Heres a different angle. In the MiceChat discussion that followed installment 18 in this series, a poster expressed disappointment that Disney would use the “wrong color” for the “volcano mountain” and lava block walls—brown, when authentic lava is black. In fact, brown is right. Creative lead Joe Rohde is striving for authenticity. According to Rohde, speaking on video, they did a lot of research into the geology of O‘ahu, which has very old, eroded stones. The idea was to make it look as if the rocks were there before the resort was built. The volcanic feature looks like a very old volcanic rock outcropping—and its not a volcano at all. Fresh lava, such as the recent lava on the Big Island, is black. But old volcanic rocks, such as you would find on O‘ahu, are brown. You cant see it on the photo, but guests who look at the rocks of Aulani carefully will be able to see all sorts of Hawaiian images, as if formed over the millennia by erosion. Its part of the Disney storytelling. Now its time to leave Aulani and the Ko Olina Resort. 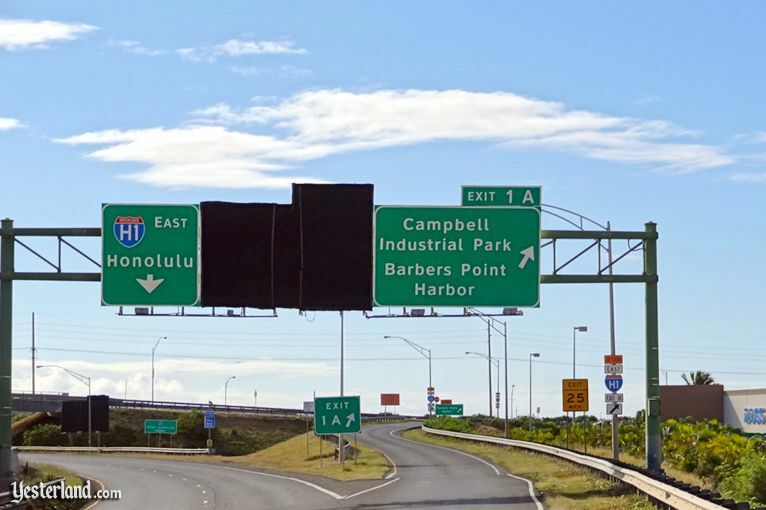 Just a few miles from Ko Olina, the highway becomes a freeway and the first exit leads to the fast-growing city of Kapolei. 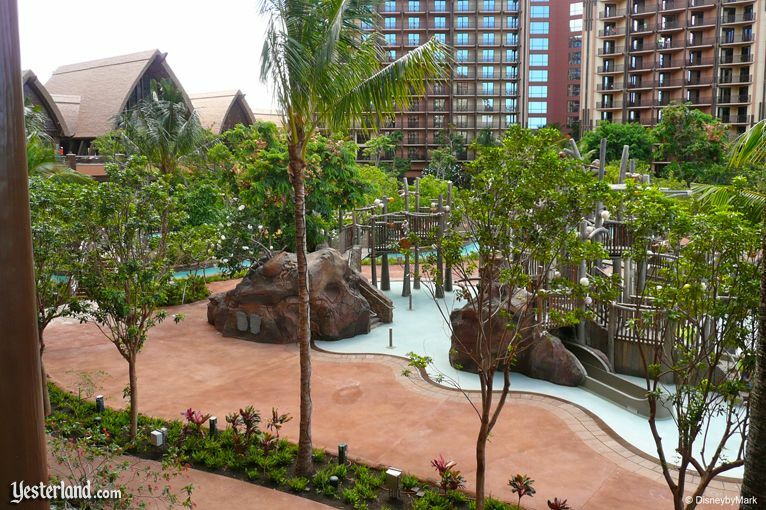 Its an exit that many Aulani guests will take because it leads to grocery stores, inexpensive quick-service and table-service restaurants, discount stores, movie screens, and the Hawaii WetnWild water park. 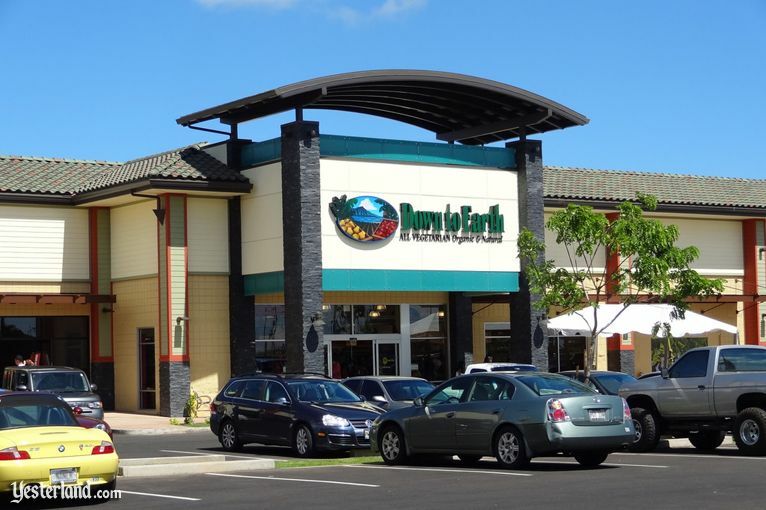 The newest grocery store in Kapolei is called Down to Earth. Its the sixth store in a Hawai‘i-based, all-vegetarian food store chain founded in 1977. After a traditional Hawaiian blessing on July 1st, 2011, the 10,000-square-foot store opened for business the next day, and had its grand opening on July 14th. This new store is not only big news for West O‘ahu residents and Ko Olina visitors who are vegetarians and vegans, it should also be a good option for anyone who prefers local, natural, and organic foods. If Down to Earth is not your idea of what a grocery store should be, dont worry. Kapolei offers several other choices. For a long time, Safeway was the only game in town. The large, 24-hour Safeway store got competition from Costco and a Target in 2009. Costco not only sells the large-size food products that you expect, but also Hawaiian favorites such as poke (marinated raw fish salad), various kinds of Spam, and Hawaiian-made Cooke Street aloha shirts. Although not a Super Target, the Target has an extensive food section. Foodland, a Hawaiian grocery chain, plans to open a store in Kapolei Village Center. 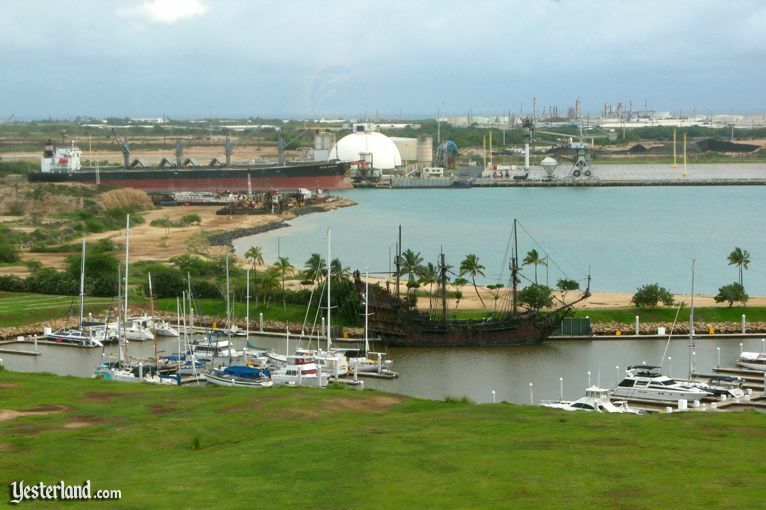 The Kapolei offramp also goes to Kalaeloa Harbor (also called Barbers Point Harbor), just south of the Ko Olina Marina. It’s a deep-water harbor used by cargo ships and tankers. Participants on web forums have claimed that Disney Cruise Line (DCL) will eventually offer Aulani-DCL land-sea packages combining a stay at Aulani with a cruise to or from California. After all, it’s a perfect match. The cruises could even use Kalaeloa Harbor instead of Honolulu Harbor. Then someone will point out that the Jones Act would require a stop at a foreign port—and that a DCL ship could comply with the law by stopping in Ensenada on the way. It’s not the Jones Act, and it’s not that easy. First, it’s the PVSA (Passenger Vessel Services Act of 1886), not the Jones Act (Section 27 of the Merchant Marine Act of 1920), that’s the issue here. They are not the same thing. The former deals with passengers, and the latter with cargo. Both are written to protect the U.S. shipping industry and U.S. maritime crews. But the big issue is that beginning a cruise on a DCL ship at a U.S. West Coast port, stopping in Ensenada, perhaps stopping at some Hawaiian ports, and finally ending the cruise in Honolulu would not comply with the PVSA. And it wouldn’t work in the other direction either. Stopping at a “nearby foreign port” such as Ensenada only works if the cruise begins and ends at the same U.S. port. Between two different U.S. ports, the ship would need to stop at a “distant foreign port” as defined by the PVSA. That would mean stopping at a port in South America, the South Pacific, Europe, or Asia—and any such ports would add too much of a detour to be a viable option. That explains why Disney’s first-ever Hawai‘i cruise (Disney Wonder sailing April 29, 2012) is only available as a roundtrip beginning and ending in Los Angeles, rather that being sold as two separate legs that can be used for Aulani-DCL land-sea vacations. It’s also been suggested that Disney could base a ship in Hawaiian port, perhaps Kalaeloa Harbor, offering roundtrip Hawaiian island cruises. Once again, the PVSA prevents the foreign-flagged DCL ships from offering an all-Hawai‘i itinerary. The closest foreign port, Fanning Island, is around a thousand nautical miles from O‘ahu, and competitor NCL was unsuccessful using it for Hawai‘i cruises. For more information, see What Not to Expect from Disney at Ko Olina. Actually, there is a cruise out of Kalaeloa Harbor that Aulani guests (and other visitors to O‘ahu) can enjoy. But its not on a big, foreign-flagged cruise ship. 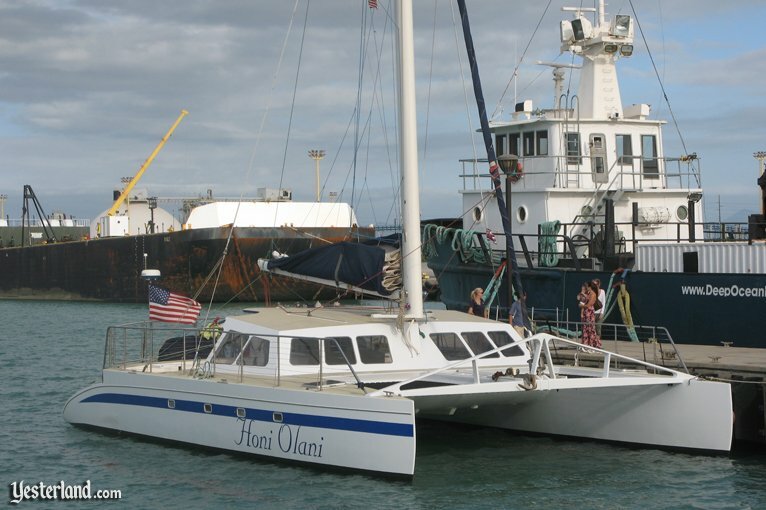 Hawaii Nautical operates snorkel cruises, whale watching cruises, and sunset cruises on their catamaran, the Honi Olani. They have vans to pick up guests at all current resorts at Ko Olina, and I assume theyll pick up at Aulani too. Ive done all three cruises, and they were all great. My favorite is the sunset cruise, which weve been on four times. I like to sit near the front of boat, sipping a tropical drink (including their own creation, the “Catatonic”). If the wind is good, they turn off the engine. The cruise continues with no engine vibration—just the wind in the sails. Our sunsets have ranged from enjoyable to absolutely spectacular. Guest service on the Honi Olani is excellent. If you really want to splurge, Hawaii Nautical also has a smaller catamaran, the Leid Back, available for private charters. For the rest of this article, well travel to a few other spots on the island of O‘ahu. This is by no means a comprehensive tour. Arguably, O‘ahu has more attractions for visitors than the rest of the Hawaiian Islands combined. Ive also been to Maui, Kaua‘i, and the Big Island of Hawaii; theyre all wonderful destinations and I would gladly return to any of them. But Disney picked the best island for guests who want to choose from many different attractions—when they can pull themselves away from all that Aulani and the Ko Olina Resort have to offer. Its easy to enjoy Hawai‘i—the beaches, the restaurants, the warm weather, the tradewinds, and the spectacular scenery. But Hawai‘i is even better if you take some time to learn about its history, its people, and the culture. Kamehameha should be more than the name of a road that runs through much of the island. Aulani promises to present Hawai‘i as a living culture, with opportunities to gain a deeper understanding of Hawai‘i. But even Aulani can only go far. The place to go for more is the Bishop Museum. American businessman Charles Reed Bishop was married to Bernice Pauahi Bishop, the last direct descendant of King Kamehameha I. He founded the museum in 1889 in her memory. 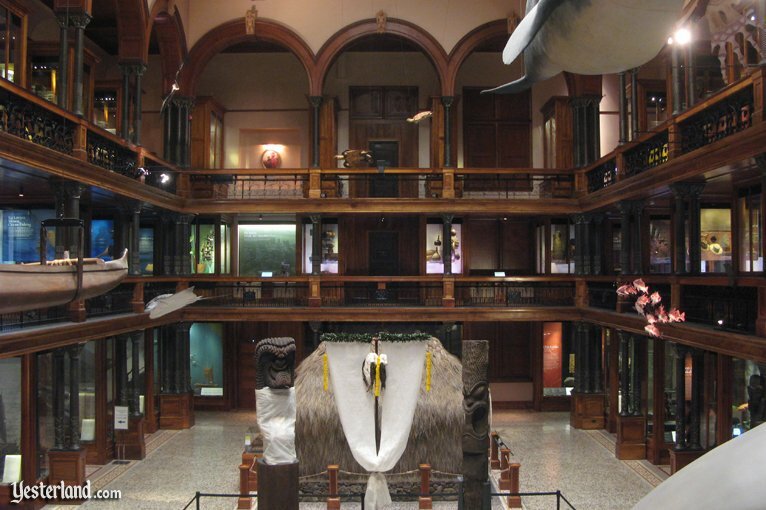 The Bishop Museum is proud to have “world’s largest collection of Hawaiian and Pacific artifacts and natural history specimens.” My favorite part of the museum is the historic Hawaiian Hall, which reopened in 2009 after a three-year restoration. While the Bishop Museum is well-known, the Honolulu Academy of Arts is more of a secret. Compared to big city art museums, its a small museum, but the collection is well worth seeing. In January 2011, we chose the Honolulu Academy of Arts as our destination on a day that was supposed to be rainy. We ended up spending much of the day there, enjoying Asian, European, and American art from various centuries, as well as art of Hawai‘i. The museum was holding a Bollywood film series; we watched Housefull (2010), a fun comedy. Website: Honolulu Academy of Arts. 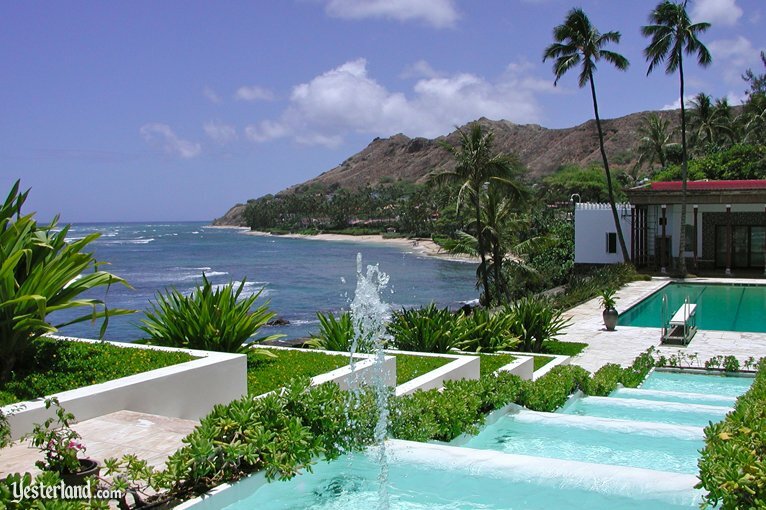 The best kept tourist secret on O‘ahu is Doris Dukes Shangri La. And it really seems to be a secret (unlike the “the best kept Disney secret,” Disney Vacation Club, which is no secret at all). Doris Duke (1912-1993) was an American tobacco heiress, art collector, and philanthropist. With a love for the beauty of Islamic art and architecture—and great wealth after the death of the father in 1925—Doris Duke purchased a 4.9-acre ocean-front Honolulu property in 1936 to build an Islamic-style seasonal residence, Shangri La. She filled the mansion with a collection of Islamic art. Shangri La opened for limited public tours in 2002. 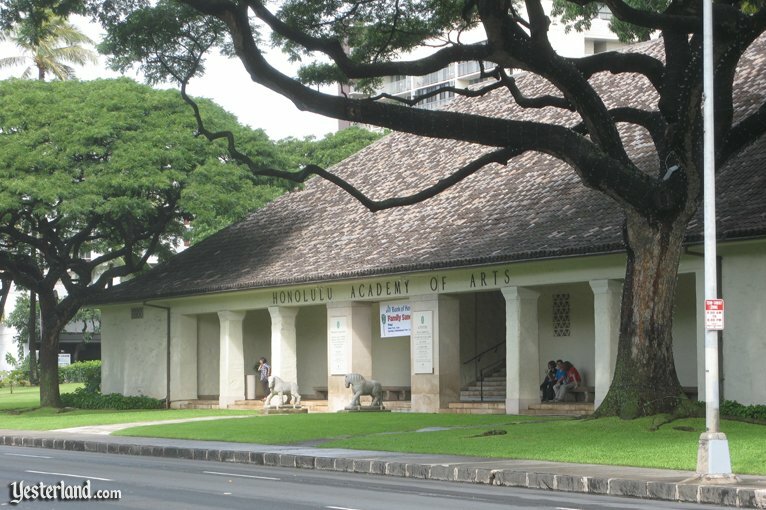 The mansion is in a wealthy neighborhood near Diamond Head, but the tours begin and end at the Honolulu Academy of Arts. Advance reservations are necessary—usually several months in advance. Website: Doris Dukes Shangri La. 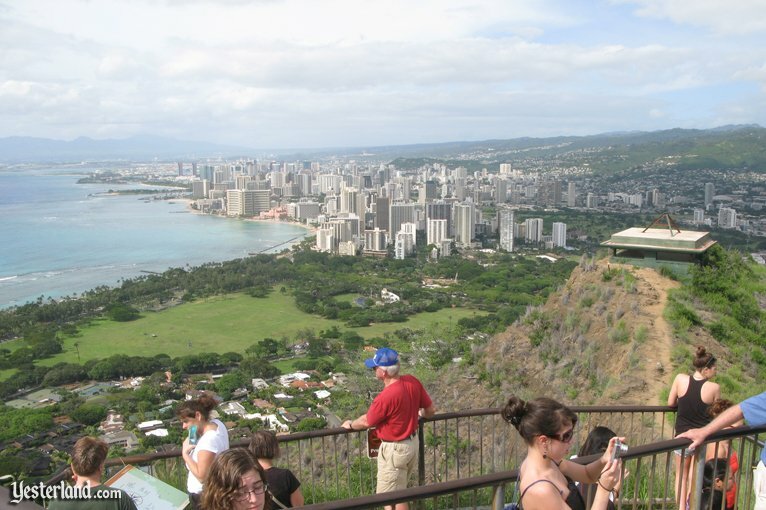 Speaking of Diamond Head, our next stop is the 300,000-year-old volcanic crater whose distinctive shape can be seen in many photos of Waikiki. A popular trail leads from the floor of the crater to the top. The trail is just 0.8 mile—but it involves an elevation gain of 560 feet through mountainside switchbacks and stairs. Its best to attempt the trail when its not too hot. Early mornings or cool winter days work well. One frustration can be the limited amount of parking. Call ahead to Diamond Head State Monument for current parking advice. When you get to the top, youre rewarded with a magnificent view in all directions—and a much-needed breeze to cool you off after the climb. Website: Diamond Head State Monument. I hope you enjoyed this brief tour of a few O‘ahu locations. We only scratched the surface, so maybe we can go to more places in the future. But if you really want to enjoy O‘ahu, you should visit there. Its much better than just reading about it on this website. 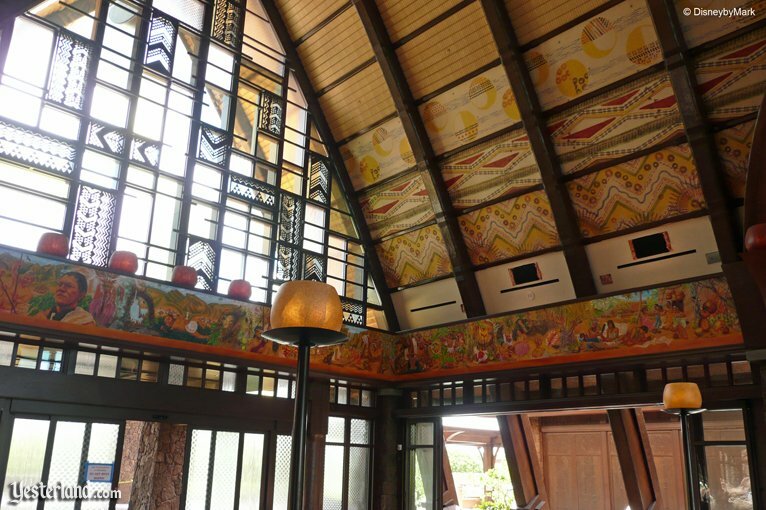 Photo of Aulani lobby ceiling: 2011 by Mark Hickson. 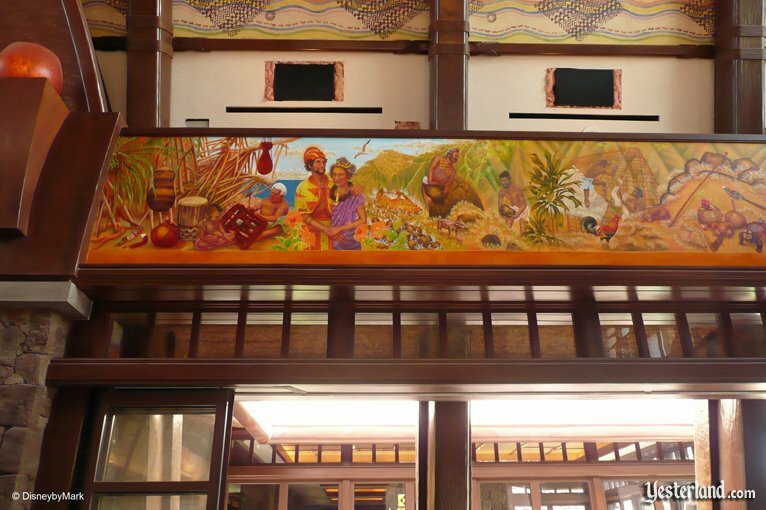 Photo of Aulani lobby mural: 2011 by Mark Hickson. Photo of the top of the Waikolohe Valley at Aulani: 2011 by Mark Hickson. Photo of Menehune Bridge at Aulani: 2011 by Mark Hickson. Photo of Pu‘u Kilo at Aulani: 2011 by Mark Hickson. Photo of Kapolei H-1 freeway offramp: 2011 by Steve Swicegood. Photo of Down to Earth in Kapolei: 2011 by Steve Swicegood. 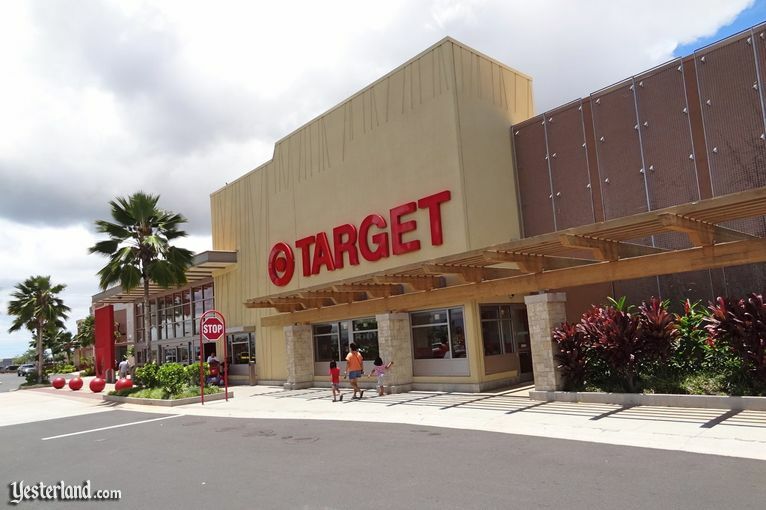 Photo of Target in Kapolei: 2011 by Steve Swicegood. Photo of deep harbor: 2011 by Werner Weiss. Photo of Honi Olani: 2011 by Werner Weiss. 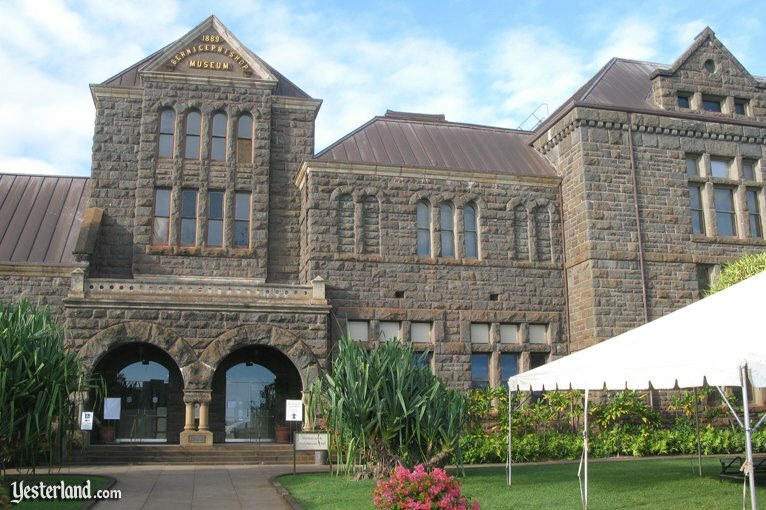 Photo of Bishop Museum exterior: 2011 by Werner Weiss. Photo of Hawaiian Hall: 2011 by Werner Weiss. Photo of Honolulu Academy of Arts: 2011 by Werner Weiss. Photo of Shangri La: 2005 by Werner Weiss. 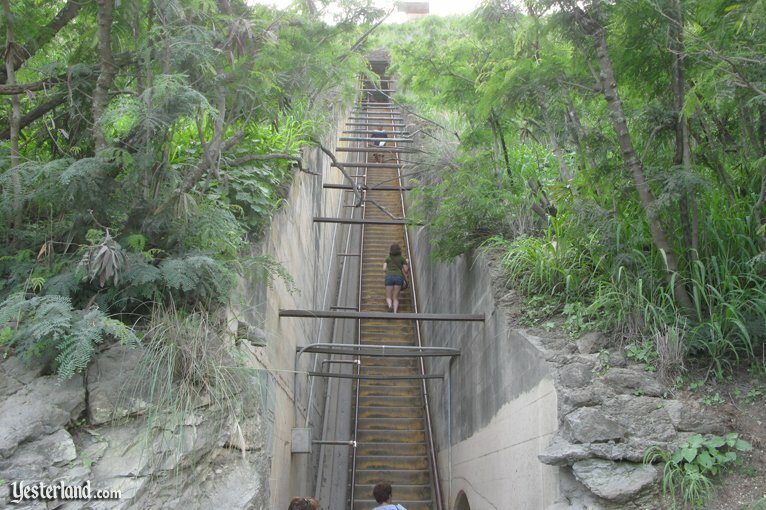 Photo of Diamond Head stairs: 2011 by Werner Weiss. Photo of Diamond Head view from top: 2011 by Werner Weiss.